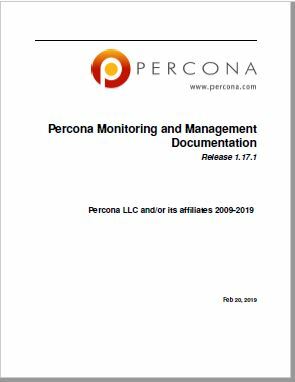 Note: Percona Monitoring and Management (PMM) employs a client/server model. You must download and install both the client and server applications. The directions for doing this are in the documentation. Please complete the form below to download version 1.17.1 of the PMM Operations Manual in PDF format. A link to the manual will also be sent to you via email.